Hole turret of the 'revolver' type, with which holes can be made in, for example, channel slab, textiles, belts and leather. 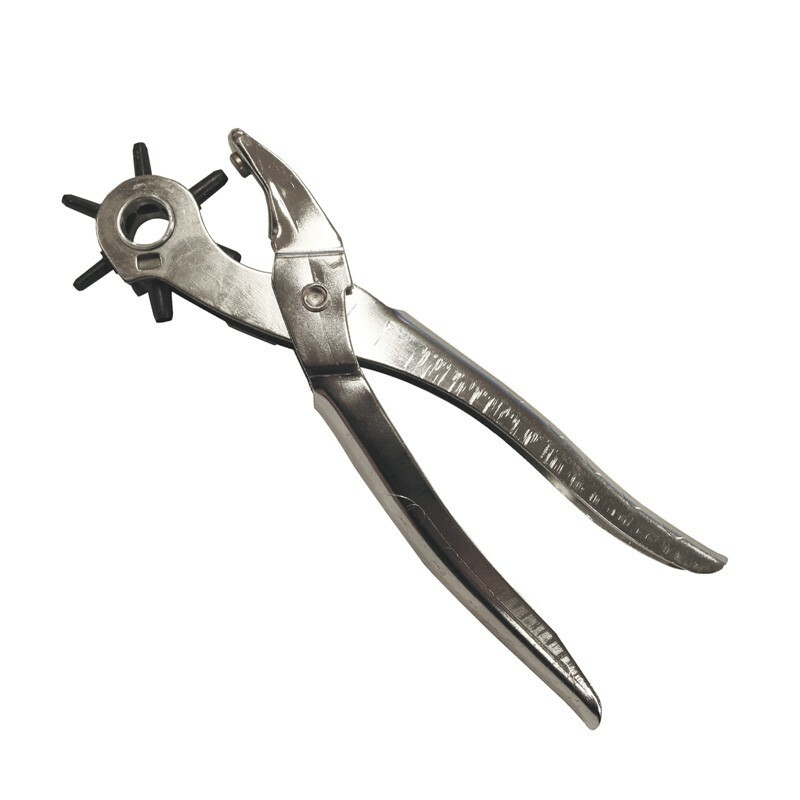 It is equipped with a number of pipe-shaped cutters, in ascending millimeters that can be turned as desired so that they reach the jaws of the tongs. Between that cutter and the mouth, a hole is punched by pressing the legs firmly. Very useful for example to perforate channel plate to hang full color prints or make extra buckles in belts.